Above these words you see a closeup of a redbud blossom. 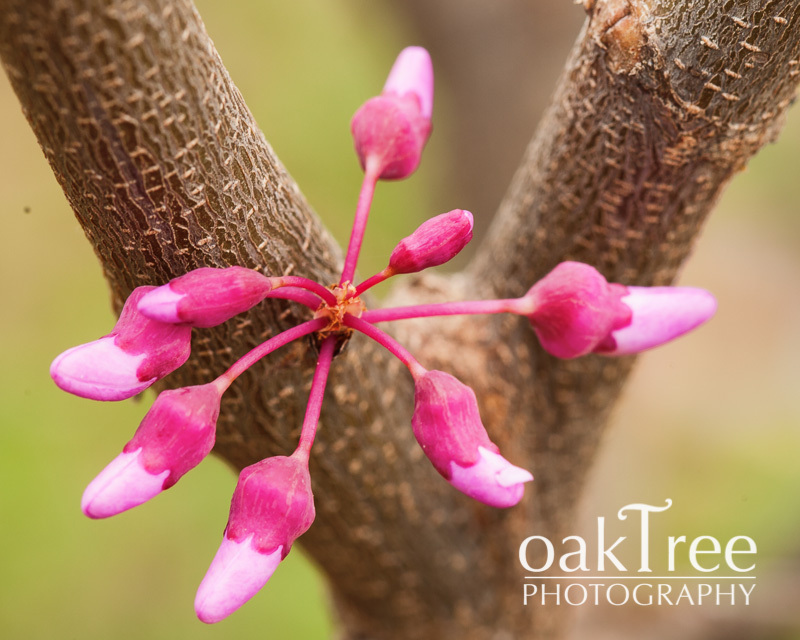 Now, this is not just any redbud blossom: three years ago, when we moved to Claremore, I planted this redbud. It was a gift from the yard of a new friend. The tree was a volunteer, you see, and not needed where it came from. It was out of place, in other words, so, I “adopted” it. It went into a prime location in our front yard. A slender young thing, it has struggled to survive in the tough summers we’ve been having. It almost didn’t make it through last summer. But, I dragged a hose across the yard, laid the mouth of the hose at the base of the tree, turned the water on at a trickle, and let its thirsty roots drink long and deep. I didn’t give it a drink just once, of course, but every other day, I would drag the hose across the yard and bring water. The tree hung in there—barely—but it never has blossomed. Until this morning. Out on a Saturday morning, early, to plan my springtime projects, I went over to the tree, saw that it was beginning to leaf out, then noticed a a fleck of color. The tree’s first blossom, ever! What a thrill. Maybe I shouldn’t say this, being as this is my portrait web site and all, but if I could make a decent income from taking only pictures of flowers, if I could only do so…I’d do it! But I can’t. So instead, what I do is take pictures of people as if they were flowers: precious, irreplaceable flowers, flowers whose fleeting beauty deserves to be remembered and embraced for all time. A woman’s first classic portrait should be when she turns four, has left infancy behind and is entering childhood. In the case of Emmie, whose portrait you see here, her first classic portrait took place when she was still three. The fact that she was not quite four made creating the portrait a bit more challenging, since a child who is still three is at a stage of life such that spontaneity rules: standing in one spot, looking in one direction, holding your body in one position do not come readily. I had to make sure everything was one hundred per cent ready to go with the lights, with my camera, with where she would be standing, since I knew that we would only get three or four minutes of shooting before she was “done”. And let me tell you, when a three year old is done, they are done, and there is no getting anything more out of them! Not only did I need to move quickly, but I needed to draw just the right smile out of her . The usual schtick I do with children, with lots of silliness and pratfalls on my part, would draw too big of a smile, I wanted more of a “Mona Lisa” smile. So I toned down the schtick, until the slightest, half-shy smile came to Emmie’s face. When I captured a series of exposures, and our window of time had passed, I knew we had created that classic child’s portrait, the kind that will stand the test of time and the changing fashions of every era, that Emmie will still be displaying in her old age, as a testimony of who she was in the blush of childhood. Okay, okay, you and I both know how these photography web sites work: the photographer cherry picks the best images from the best sessions, then writes glowingly about how wonderful it was: how perfect the client, how spectacular the location, how passionate the photographer, yada, yada, yada. And, certainly, my web site serves up plenty of that. But if that was all my web site offered, you would begin to suspect, not so much that I was perfect, but that I was not real. So, now is the time for true confessions: I make mistakes. 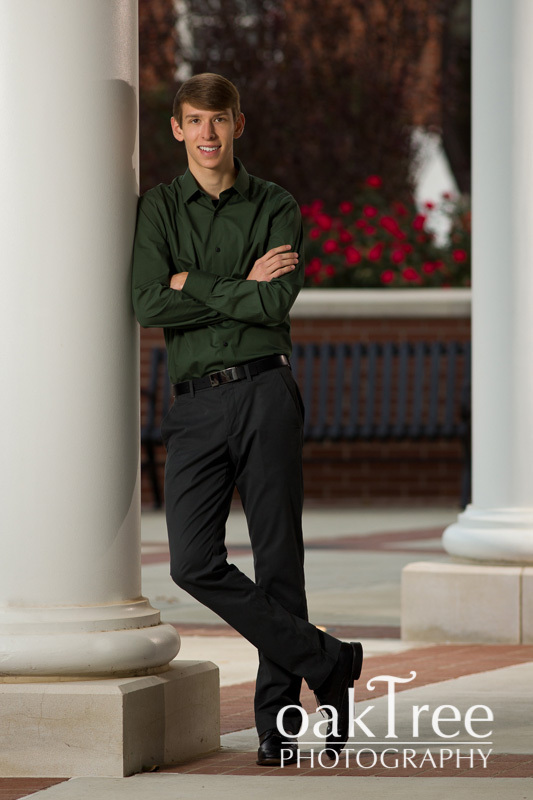 And, on a senior session with Matt, I made the ultimate mistake: I lost the images. That’s right, I lost them. All. I had just gotten back from the session, I immediately went to back up the camera’s memory card to my computer and, I made a thoughtless mistake in how I inserted the card into my reader, and all the images were wiped off the card. I could have died. Literally. Died. One of the hardest calls I’ve ever had to make was to Matt’s family to fess up. To my everlasting gratitude, they were gracious. We rescheduled for the next day. And, all the pictures turned out as well, or better, than the originals. Was I ever relieved. Here is one image from that “make up” shoot. Matt is a Claremore High School senior of 2013, and this was taken on the campus of Rogers State University, where he will be attending this fall, with a four year scholarship, I might add. Way to go Matt! Bailey not only has excelled in academics at Claremore High School, but she also is athletic. So, I wanted to be sure that we had some fun during her senior pictures, to capture that athletic side of her. For this portrait, I had her wear a volleyball jersey and hold the volleyball. Nothing extra special there! But then I lit her with three powerful strobe lights. One of them is just above the camera. And two of them are behind her to her left and behind her to her right, just outside of the frame of this picture. When the lights are balanced just right, and when you call on the person to give you that tough, Clint Eastwood, “make my day” kind of glare, then you get the kind of awesome portrait you see here: tough, confident, striking. It goes without saying, but I’ll say it anyway: Bailey loved the picture. Which is great, since I sure enjoyed creating it for her! With senior pictures, of course I do the traditional shots, with smiling expressions and classic poses. But I also like to mix it up, for the sake of variety and creativity. So it was that when Jamie, a 2013 Senior from Claremore High School, came to me, I figured that we would have some fun. Along with the “grandmother poses” (as traditional poses are usually called among photographers), we cut loose and I set up some different portraits. One of these portraits is very “warm”: with a red shirt and golden skin tones and a confident, almost aggressive expression on the face. The other portrait is very “cool”, with a moody downward tilt of the face and with the eyes looking away from the camera and, well, with the blue tone of the image! Jamie and his family loved both of these looks, and enjoyed the variety I created for them. Creating these senior portraits is why, after many years wasted on therapy and numerous failed medications, I am still hopelessly addicted to photography! 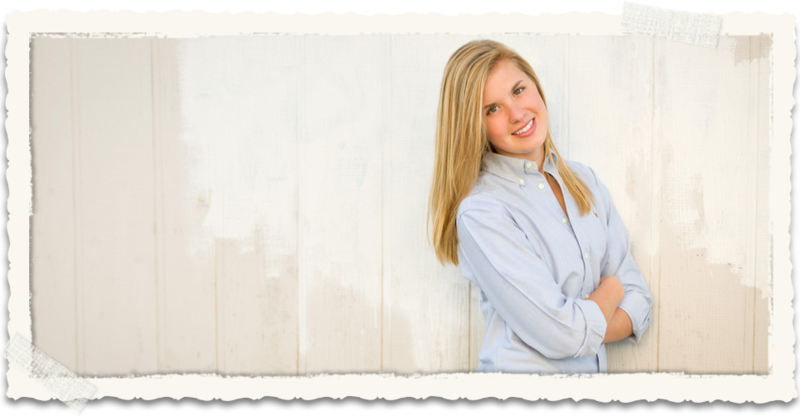 High school seniors, in Tulsa and Rogers County, I know that this sounds like salesmanship, but I am still booking senior portraits for this Spring: time is getting late, but you can still get in touch with me for great senior pictures!